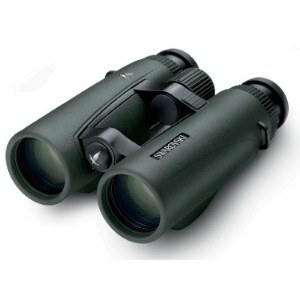 This Swarovski EL Range 10X42 binocular is maxed out with SwaroBright and SwaroAim technologies for crystal clear images. It also has the FieldPro package with all the latest external upgrades and one more very exciting feature that you’ll only know if you read the review! There’s a very small class of reviewers who have weighed in on this binocular and when you see how much it costs, you’ll see why. But, even with its small following, it has a perfect, and impressive rating. There’s no getting around the fact that this svelte binocular is a lifetime keeper which is why we gave it the number one spot on our ‘Best Premium Binoculars‘ list. If the ratings weren’t obvious enough to point out why I chose this top-shelf binocular to review, then let its super ranging powers be the reason you’re still reading this. What ranging powers? Wouldn’t you like to know…? If you’re in a hurry and you’re an impatient reader, although I hope you’re more patient in the field, I’ll get right to the Q&A. Is the EL Range a rangefinding binocular? You guessed it! The super ranging powers of the EL Range binocular is its laser rangefinding feature. There’s no need to carry around two optics that can obviously be combined into one well-integrated device – the laser rangefinder binocular. But, how do you use it as a laser rangefinder? There is a button that’s perfectly positioned close to the center focus wheel for the most comfortable and easy placement of the index finger to depress. And, this easy-to-reach button is all thanks to the ergonomic and sleek design of the roof prism binocular. If you’re thinking things can get complicated with electrical components thrown in and the marriage of the combined two optical systems, I would tell you to “shhhh”. Stop thinking. Before you get carried away with your skepticism and doubt, you should know it’s extremely easy to use. Look through the bino as you regularly would, stop and look directly at your target, and shoot – I mean, depress. In less than a second, you have your distance to your target. What is the difference between the EL Range and the EL O-Range? The only difference between the EL Range and the EL O-Range is the color. In March 2018 Swarovski released the binocular in the new orange color which is quickly becoming popular among hunters. Check them out here! What are the laser rangefinding specs of the EL Range? This binocular can measure from as close as 33 yards to a far-reaching distance of 1500 yards. If you’re into extreme long range shooting, this is the perfect optic combo for you. This Swaro requires a CR2 lithium ion battery that can get you about 1000 actuation’s before needing to be replaced. It also provides measurements in either yards or meters, however, there is a catch. If you’re wanting the bino to provide distances in yards, you might be interested in the process. It actually measures in meters first and then it converts the distance to the equivalent in yards. This might not be a big deal to most of you, but if you’re really fussy about these specifics, then I thought I should disclose it all. What is the angle compensation on the EL Range binocular? This bino is not only a laser rangefinder, it’s also an angle compensation laser rangefinder. Can it get any better than this? If so, I’d hate to see the gross price for it! This angle compensation feature is also what Swarovski has coined as SwaroAim. But, what is angle compensation or SwaroAim? If you want the long answer, check out our Beginners Guide to Angle Compensation article. You’ll be up to speed in a jiffy. But, in one sentence, it’s going to be the corrected distance or angle you’ll need to make your shot when shooting from an angle provided by a built-in inclinometer. This EL Range bino can give you a compensated angle within -/+ 90 degrees. This means it’s capable of giving you the right distance for completely vertical angles. By the way, I actually don’t recommend shooting at these angles, but this gives you an idea of this binoculars capabilities. But, all long distance shooters, hunters is varying terrain, and bow hunters can definitely make use out of this feature. After you’ve pressed the distance measuring button, the straight-line distance will be displayed, and the angle compensated distance will be directly beneath it. Easy peazy. Is this Swarovski binocular waterproof? All the bragging I’ve done on the expensive $4000+ binocular wouldn’t really mean anything if a light rain busted your optic. It would be even worse if an unavoidable storm beat down on your bino. And, it would definitely be the worst if you dropped it in a murky, deep puddle from the top of your blind. Good thing for you, Swarovski leaves no strings untied. They have fully waterproofed and fog-proofed this binocular, and I don’t just mean water-resistance qualities. I’m talking about waterproof to 13 feet of submersion! Weatherproof? Check. Approximately $4000 to spend on this baby? Check again. To glass it up, the Swarovski EL Range 10X42 binoculars is the ultimate tool for every hunter and optic user. Is it loaded? I can’t answer this without swearing, but “yes” is an acceptable answer. Of course the price is out-of-this-world, but it’s a Swaro. You’re making your lifetime buy for an optic right here. Say “auf wiedersehen” to ever shopping again – hooray! If you don’t need the laser rangefinder capabilities, then save more than a few bucks with the Swarovski EL 42 10X42 with the FieldPro package. It’s one of our favorites, and it will be yours too if you dare check it out. When dabbling in this price range, we’d be doing you a serious disfavor if we didn’t steer you towards a Leica Geovid HD 10X42 bino. It rivals the Swaro rather competitively, and it’s cheaper. We also wouldn’t be fair if we didn’t throw out the Carl Zeiss Victory RF binoculars either. Competitive in price with the Swaro, it’s worth checking out if you’re serious about dropping three grand on a binocular. When you’re spending this kind of cash, you want to know what’s available to you. Realistically, these are way out of the budgets of most hunters. However, Swarovski has always been a world-class brand that we’ve always drooled about, not only in our sleep. We’re not ashamed to wipe away a bit of dribble when it comes to Swaro, and neither should you be!